Rupert Pupkin Speaks: Underrated '87 - Joe Grabinski ""
Joe Grabinski is the creator of the Twitter account “Amazon Movie Reviews” (@AmznMovieRevws) where he collects screenshots of comical consumer reviews he finds on Amazon. Joe was also the host of the podcast “Facing the Critics,” in which he interviewed filmmakers about the criticism of their films. Guests of the podcast included the likes of John August, Sean Baker, Mark Pellington and Alex Ross Perry. 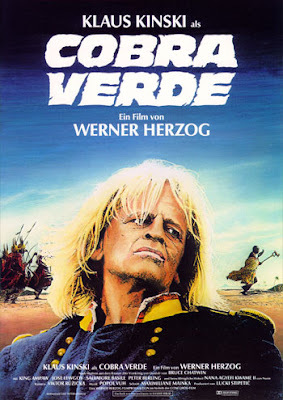 Cobra Verde is most notable for being the last film that Werner Herzog would make with Klaus Kinski. This film is worth seeing for that reason alone. It doesn’t get much more iconic than those two working together. Cobra Verde features one of the more interesting narratives I have seen in a Herzog film: a rise-and-fall story featuring a fascinating look at slave trading. I certainly think the film deserves to be mentioned in same breath as Aguirre: The Wrath of God, which is one of my favorite films of all-time. The film features beautiful cinematography and locales as it was filmed on location in Brazil, Colombia and Ghana. You can sense the danger involved during filming. Keep your eye out for a scene where a major character is bound and dropped on his head from five feet in the air. You read that correctly. 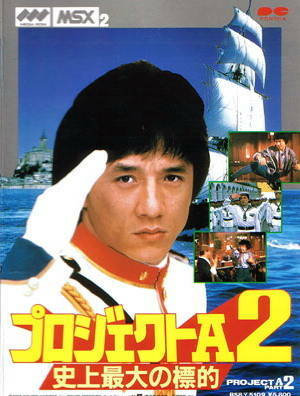 My favorite Jackie Chan films are the films in the Armour of God and Police Story series. The Project A movies are about as good as the aforementioned films, and yet they don’t have the same notoriety, likely due to the fact they did not have any major US release, a la Operation Condor (Armour of God 2) and Super Cop (Police Story 3). Project A 2 has about five times the amount of action I expected going into it. It features wildly inventive fight choreography, as one would expect from a Jackie Chan film, but I imagine many will be surprised by just how frequent and explosive the sequences are. The fighting is organic and seamless, unlike in Shaw Brothers films where the moves often feel telegraphed. The set pieces are magnificent as well. The rest of the film is filled with some fun comedy and an easy-to-follow police corruption plotline. “Garbage Day!” This is a terrible, terrible film, but one I feel needs to be seen. 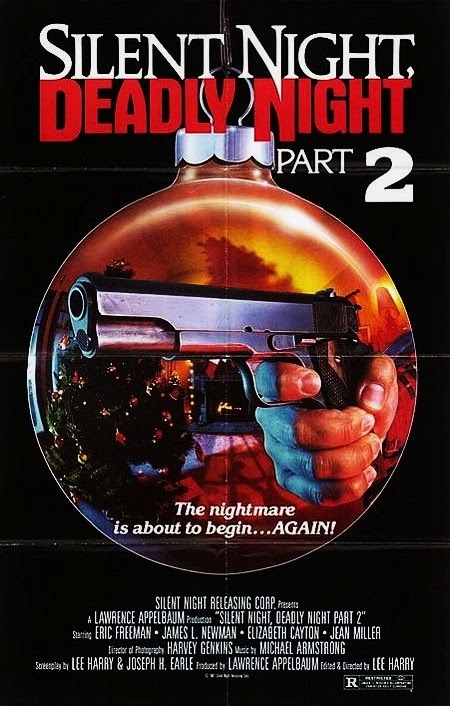 This past December I was fortunate enough to be able to see the original Silent Night, Deadly Night at New Beverly Cinema in Los Angeles as part of a triple feature. I hadn’t seen the original in over 10 years and I was taken aback by how good it is – not the case with the sequel. Part 2 is notable for reusing 40+ minutes of footage from part 1. Almost the entirety of part 1 is retold in flashback sequences before a new add-on story is told. The sheer audacity! Apparently it was done out of necessity and the filmmakers had no choice. I admire the film for this. All-in-all it’s a very fun time. 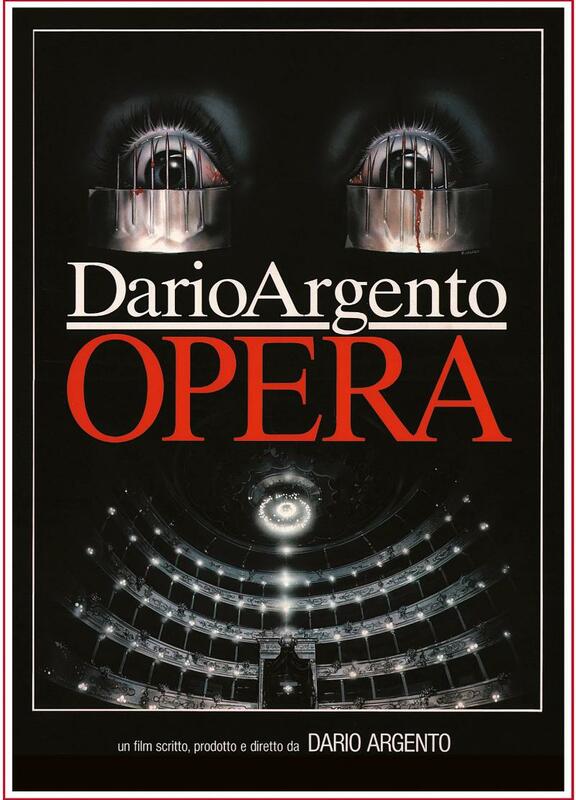 Opera is generally regarded as “Dario Argento’s last good film.” I would argue it is one of his best films, up there with Suspiria, Deep Red, and Tenebre. Some will joke at the kitschy juxtaposition of heavy metal music and the opera setting, but that stuff works for me. 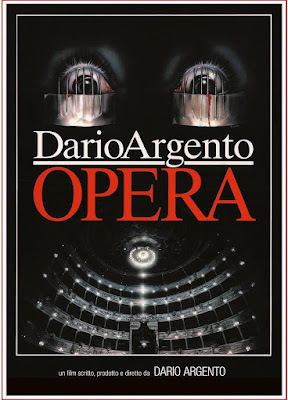 Opera is without a doubt one of the most lavish productions a horror fan could ever dream of. I’m hard-pressed to think of a better looking 80’s horror movie in terms of production value. The camera work is among the best you will see in any Argento film and it also features some of the most convincing, gruesome and elaborate death scenes of his career. The keyhole scene is worth the price of admission alone. The film also features a really fun whodunit plot and an entertaining score by Claudio Simonetti. God bless Alamo Drafthouse for resurrecting this gem. The film revolves around a club band by the name of Dragon Sound whose members practice Taekwondo in their free time. 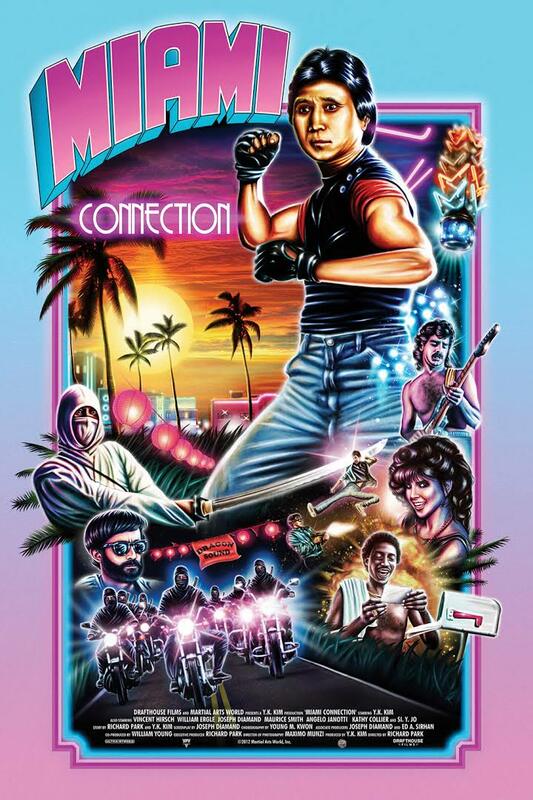 The film features catchy music, loads of friendship and some sweet fights between a rival band AND against cocaine-dealing ninjas. But in all seriousness, Miami Connection transcends the overused “so-bad-it’s-good” label by exuding the undeniable passion of the film’s producer/director, Y.K. Kim. Unlike Manos: The Hands of Fate and the like, you can tell this film was made as a labor of love and not as a business venture.